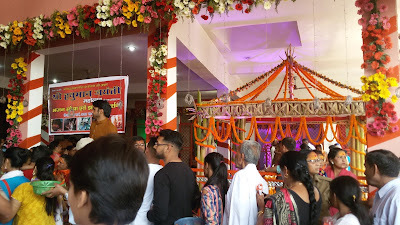 Shri Balaji Dham- Shri Siddh Hanuman Mandir is situated at national highway 72, Jhajra, Dehradun, Uttarakhand. This temple was established by Baba Ram Kishan Das Barfani in Jhajra in 1957. Balaji is a very famous name of Hindu God Hanuman. Balaji name is famous in north India. Balaji means Baal Hanuman or childhood form of Lord Hanuman. Most famous Balaji Mandir is Mehandipur Balaji Mandir in Dausa, Rajasthan. Shri Balaji Dham temple is established with the same theme of the Mehandipur Balaji Mandir. Prayer of Balaji and worship methods for the Balaji is same as in Mehandipur Balaji Mandir. There are the main statue of Shri Balaji, Bhairav Baba and Shri Pretraj Sarkar are established in the Shri Balaji Dham. Other than these God, Lord Shiva, Shivling, Radha Krishna, Durga Mata, Lord Shani etc statue also there. 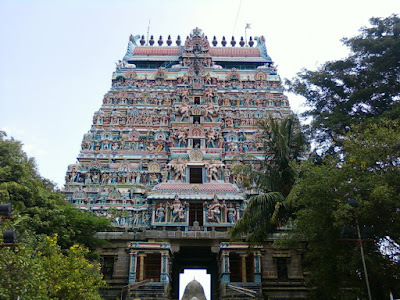 Persons who suffer or affected by several type bad or evil spirits, ghost come here for getting relief from them by the prayer methods followed by here such as Arji, Sawanani, and Darkhast. In the Balaji Dham, they give special Prasad to offer the Gods. We have to offer Boondi or Boondi k laddu to Shri Balaji and rice with urad daal to Bhairav Baba and Shri Pretraj. 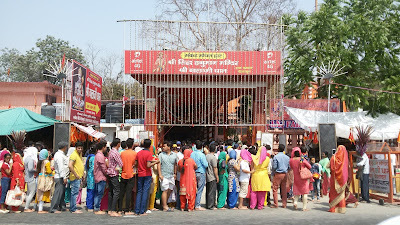 Balaji Dham is full of devotees daily but on Saturday and Tuesday there a huge crowd of devotees in the temple because these days are special for the Shri Balaji. Every Tuesday and Saturday there is a feast for all devotees. Bhandara starts in the afternoon after the Prasad or Bhog offered to Shri Balaji. Since the 16th April 2003 in the Shri Balaji Dham, each and every year Shri Balaji Jayanti or Lord Hanuman Jayanti is celebrated on large scale. So there is a huge crowd of Balaji devotees in the temple which is very well managed by the temple authorities. Temple have enough space for all arrangements and all facilities are there such as drinking water, hand or foot washing water, washroom, meditation area, storage room, shoes or sandal stand etc. Temple is well managed by the patron, Baba Balram Das Hathyogi. Shri Balaji Dham is open for devotees in the early morning and closes in late night. So you can easily visit the Balaji Mandir during the day period. Inside the temple, there is a counter where the special Prasad is distributed for the Balaji offering. The cost of Prasad is Rs. 10 only. This prasad is only offering for Shri Balaji, Bhairav Baba, and Shri Pretraj Sarkar. There many shops outside the main gate of the temple who sell various types of Prasad for offering other God and Goddess inside the temple. Such as Boondi for Hanuman Ji, Mustered oil Deepak (oil lamp) for God Shani Ji etc. Shri Balaji Dham is on the main road of national highway 72, Jhajra in Dehradun, so it easy to reach there with by private car, auto or Bus. It takes a maximum of 20 minutes to reach Shri Balaji from the ISBT Dehradun. The total distance is approx. 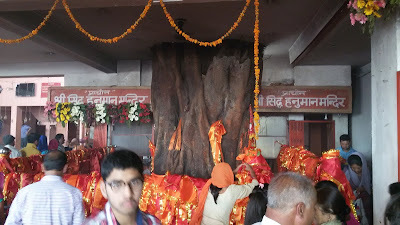 15 km from ISBT Dehradun to Shri Balaji Dham.